Campus may be quiet but the Greenfield Center is open for business. Last week, I returned to Bryn Mawr after nearly a week in New York for the annual meeting of the American Historical Association (AHA). 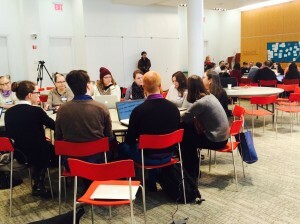 My meeting was a busy one — catching up with old friends and mentors, checking in with one of my other professional organizations (the Coordinating Council for Women in History), helping to organize THATCamp AHA, and chairing a panel on feminist work in digital history. 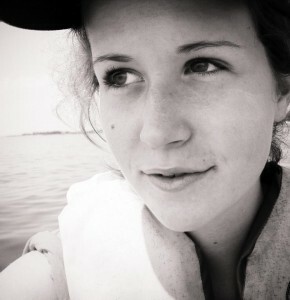 It was an exhilarating and exhausting week. But despite the conference fatigue, I left New York feeling energized for the work I’ll be taking on for the Greenfield Center this semester: teaching my first course, Higher Education for Women: Bryn Mawr and Beyond; advising students doing archives fieldwork as part of Bryn Mawr’s Praxis program; continuing to work on the NEH-funded Seven Sisters digital project; and planning our May conference, Women’s History in the Digital World 2015. In conversation at THATCamp AHA. Perhaps because our conference CFP is due later this week, I spent a lot of time at AHA thinking about how conferences bring us together, and about how we can support each other and build audiences for our work. I spent much of my time on Twitter, like my colleague Shane Landrum, who argues, “Live-tweeting #AHA2015 is, for me, a way to turn note-taking into a tiny bit of professional service [and] make what we do more public and visible.” It is also a way for me to promote digital projects that don’t always receive attention (or funding). 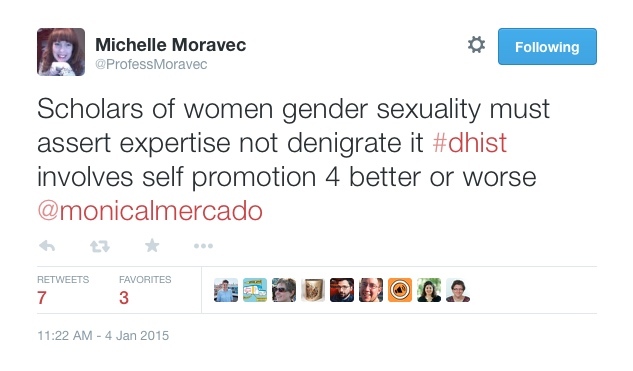 So that’s how I found myself, for the first time, live-tweeting while seated as panel chair at Session 159: Can DH Answer Our Questions: Using Digital Humanities to Address the Concerns of Feminist Historians. To audience members unfamiliar with the ways of the #twitterstorians, it would have looked surprising to see a panel chair typing away during each speaker’s presentation, but in a meeting as heavily tweeted as AHA, I wanted the research of our three scholars — panel organizer Kathryn Falvo, Tamika Richeson, and Wendy E. Chmielewski — to be captured and shared as widely as possible. Indeed, the Storify that Kate Moore created to record our session serves as a useful tool for circulating the discussion beyond our conference room. This panel convinces me more than ever before that we shouldn’t have to fear the loss or muting of women’s voices — both scholars and historical subjects — in the rise of digital history, but we do need to continue to be vigilant about getting our work out there. Over the weekend, I’ve been eyeing the digital workshop, sessions, lightning rounds, posters, and proposals coming in for Tuesday’s THATCamp, and I’ve been thinking critically about the digital projects drawing the most attention and conversation. 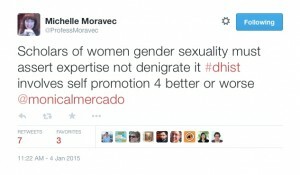 Do they take seriously histories of women, of gender, or sexuality? There’s a reason you may have seen me tweeting during these presentation: We have to be researchers, digital historians, and promoters. 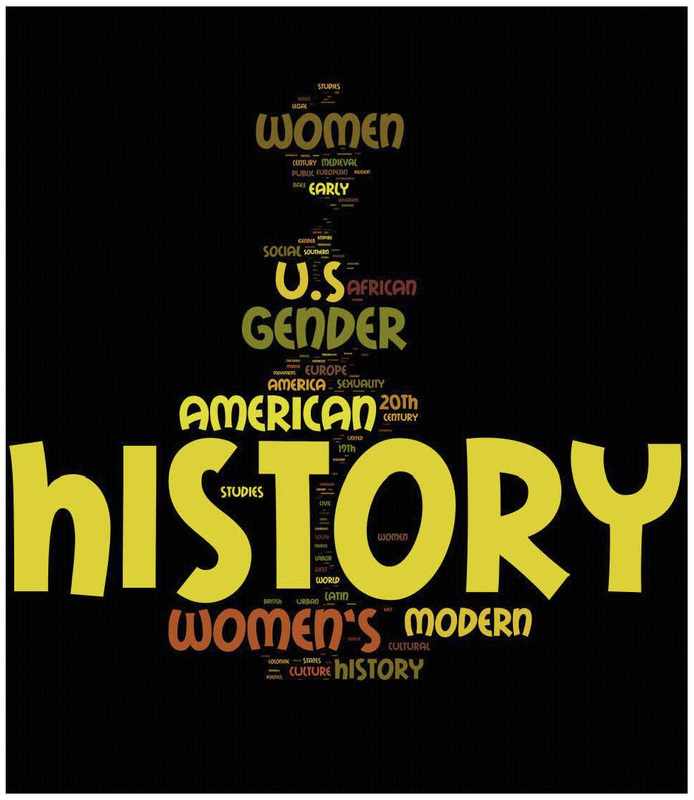 If you have a project to share, or are looking for possible collaborators and conversation partners, I encourage you to submit to Women’s History in the Digital World this week, and to save the conference dates: May 21-22, 2015. I’m excited that the Greenfield Center can play a role in the work of promoting diverse projects in digital history; in the coming weeks, we’ll be sharing details on scheduling, registration, and accommodations. In the meantime, we welcome your ideas and questions — in the comments below, or via email to greenfieldhwe [at] brynmawr [dot] edu. The college experience can very easily become a paradox, as a college education should be what equips a young person to accomplish whatever they wish, yet during the time spent earning a diploma, a great deal of pruning other dreams and aspirations is necessary to earn the title of college graduate. The ability to focus and make decisions about one’s future is indeed important, but all too often in the college setting, in the process of becoming a college graduate, pieces of the individual dissolve. Colleges and universities have plenty to offer the future, but people have more. At women’s colleges, the student body is made up of individuals willing to identify as different and who believe that it is their individual aspirations combined with a college diploma that will be what changes their world. The college experience for these women will be a tool, not an identity; because their identity is something they are not willing to compromise. In addition to bringing together an impressive and self-selecting group of individuals, the experience of women’s colleges is a precious commodity that will become no less important in the future. That women have come to assert themselves as intellectual assets on college campuses across the world is wonderfully exciting and an absolutely necessary aspect of global progress in every way. Leveling the gender discrepancy in education continues to be a process that demands the support of groups and individuals in every sector. However, it is vital to remember that equality means not only the freedom to be the same, but also very much the freedom to be different. This is where the experience of women’s colleges is so important. Women’s colleges provide that opportunity to both learn and live as part of a community aware of both its uniqueness as well as its absolute viability in an academic setting without ever asking the individual to sacrifice her identity as she knows it. This corner of the educational landscape is incredibly valuable and that it be preserved is necessary. As a member of such a community, I can speak personally to the value of the institution of a women’s college. By making the decision to be a part of a community which is so deliberately unique, I have placed myself among the ranks of women who are united in our common goal of wanting to be agents of change and progress in our worlds. There is no greater inspirational force than that which comes from surrounding oneself with individuals whom she admires. At women’s colleges, peers serve as motivators because passion is contagious and I have experienced no shortage in a women’s college community. Women who make the choice to attend all women’s colleges do not do so with the intention of being ignored. We plunge into our identities as we see them with confidence and live in our community with purpose. 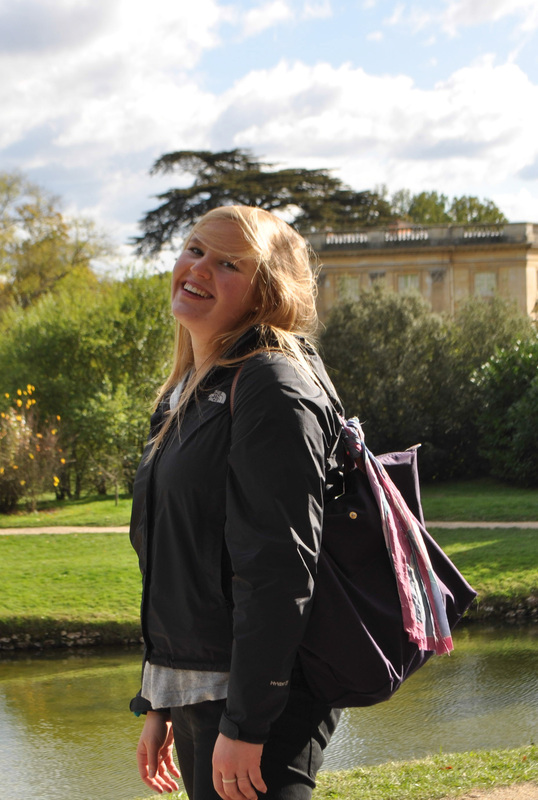 At women’s colleges, the product is not simply a college graduate. Rather, women’s colleges produce something far more influential: educated women who have reached their respective goals in their own ways. Women of this kind are what shape the world and that they have every resource to cultivate their aspirations is crucial. The accomplishments of graduates of women’s colleges are too many to count, as will be the contributions of future women in these institutions. Some things, however, are certain: these institutions offer something to their students that is unique and precious, and the world waits with bated breath for what the individuals who make these colleges what they are will offer next. Do you have thoughts about the place of the women’s college in the twenty-first century educational landscape? Have there been aspects of your experience that have shaped your understanding of education for women in the world today? Respond in the comments, or tweet us @GreenfieldHWE! The difficulty of getting into a good college is a constant source of discussion in the twenty-first century, with admissions departments seeing incredibly high numbers of qualified applicants every year. Shouldn’t it have been easier to get into college 150 years ago, when there were fewer people applying? Not so, as we learned in the last post: even if there were only a handful of girls around the country whose parents were interested in making sure they had access to a college education, getting in was hardly a piece of cake. As our readers noticed, the entrance exams were hard—hard enough so that few of us could pass today, perhaps even after the four-year education that the exam would have qualified us to receive! 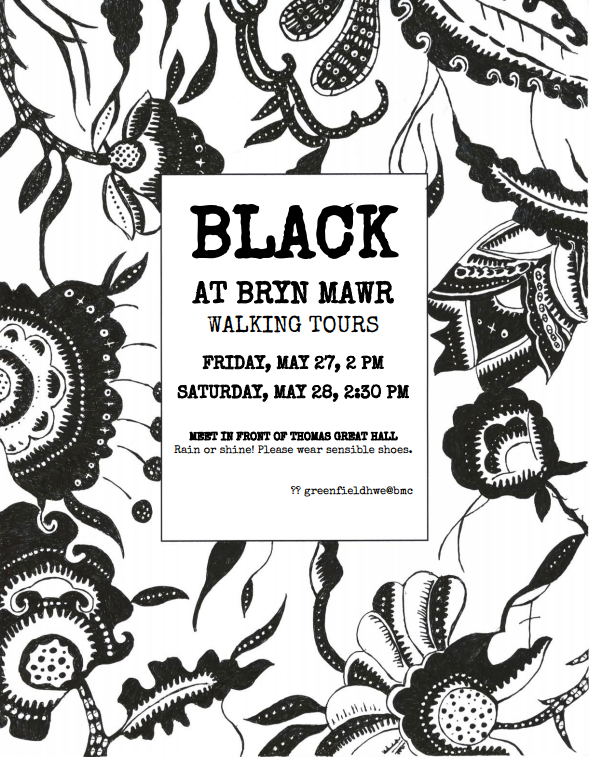 Last time we looked at how Bryn Mawr compared to the other Seven Sisters. But how would the test measure up against similar examples from the Ivy Leagues themselves? 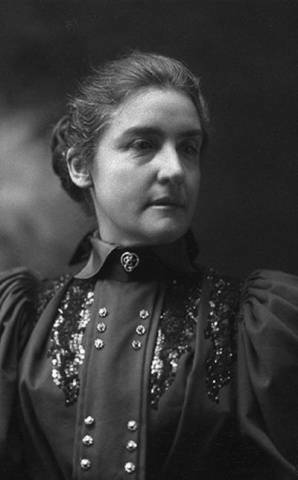 It is well documented that M. Carey Thomas, the first Dean and second President of Bryn Mawr College, aimed to make the education offered by Bryn Mawr equal in rigor to the standard American male education. Shaped by her vision, the College pursued this objective more deliberately than any of the other contemporary women’s colleges. While digging through the archives recently we came across a document describing the entrance examination for the University of Pennsylvania, as given in 1893, as well as a copy of the Harvard Examination for Women,2 also from 1893. Comparing these three documents gives us a window into how Bryn Mawr3 would have appeared alongside the schools it was designed to emulate. It is difficult to make direct comparisons between the Bryn Mawr examination and the other two, considering that there are portions missing from the Harvard examination, and we only have a summary and description of the University of Pennsylvania examination. The University of Pennsylvania also had different requirements based on the division of their General Course in Science from the Course in Arts, options for specialization that the other schools did not incorporate into their exams. However, given the variances, the Bryn Mawr exam appears to require a broader command of subject matter from each candidate. For example, Bryn Mawr considered language study to be of the utmost importance, and required all candidates to be tested in Latin and two languages from Greek, German, and French. If she was not examined in all four, the candidate would be required to study a fourth language as part of her college curriculum. The University of Pennsylvania requirements, however, were narrower: candidates for the Course in Arts were examined in Latin and Greek only; candidates for the General Course in Science could elect to be tested in two languages from Latin, French, and German, and candidates for the course in engineering were only required to know one language, either German or French. By gearing the test towards specialization in either humanities or sciences, the University of Pennsylvania thus required a narrower range of material for each candidate depending on his future area of study. Even candidates not applying to a specialized course at Bryn Mawr were required to have broad knowledge of both humanities and sciences—it appears to be the only one of the three schools that included a full section on botany. 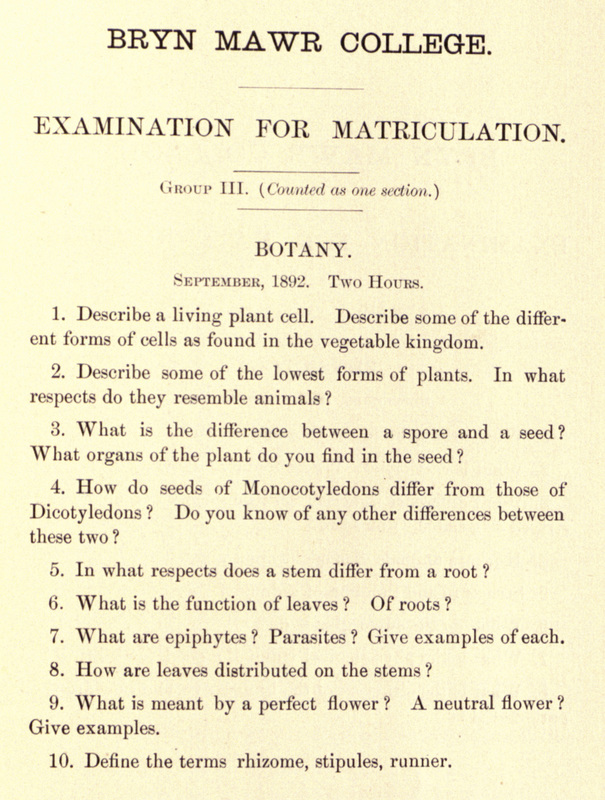 Would you have passed the section on botany based on your high school education? 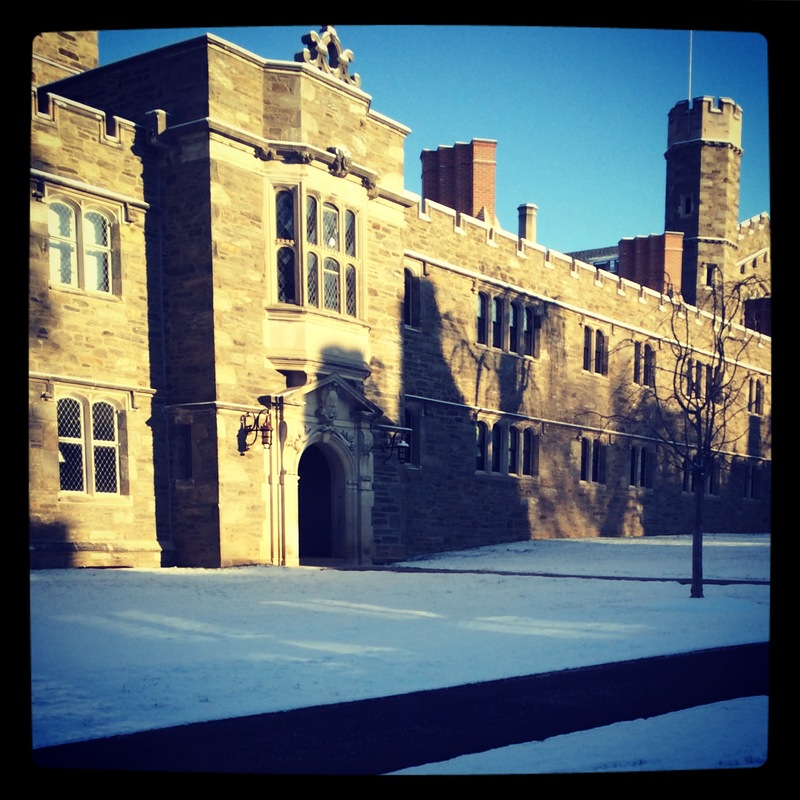 An in-depth look at all three examinations suggests that the Bryn Mawr examination was the most challenging, mostly because of the incredible range of the subject matter in which the candidate was expected to demonstrate competence. 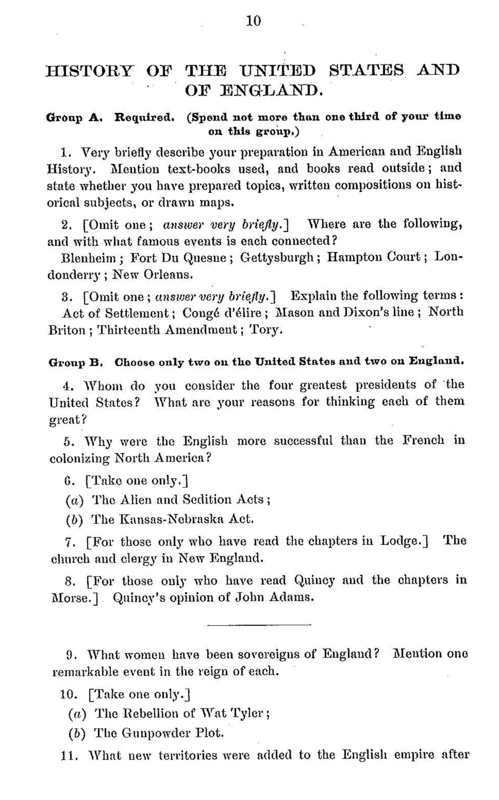 This was directly connected to M. Carey Thomas’s vision for the type of education the school was to provide: in a published address given in 1900, entitled “College Entrance Requirements”, Thomas firmly stated her belief that “certain studies should be taken by everyone if we have in view the creation of intellectual power.” And it was the powerful intellect, not just career preparedness, that she was interested in cultivating for her students. Another reason that she advocated breadth as well as depth of study, especially in the pre-college and early college years, was that she did not believe that intellectual proclivities would necessarily arise immediately—the student needed time to explore different options and develop her abilities. In a memorable passage from the address, she refutes a statement by President Charles Eliot of Harvard University, first quoting him in his claim that “by the seventeenth, eighteenth or nineteenth year almost every peculiar mental or physical gift which by training can be made of value is already revealed to its possessor and to any observant friend” and responding that “I believe it is very rare—and as a rule profoundly unfortunate—for a decided aptitude or bent to manifest itself before a boy or girl has been two or three years in college, and usually the consciousness of it comes much later than this.” Thomas considered a broad education to be essential for the intellectual development of her students, no matter what they specialized in. 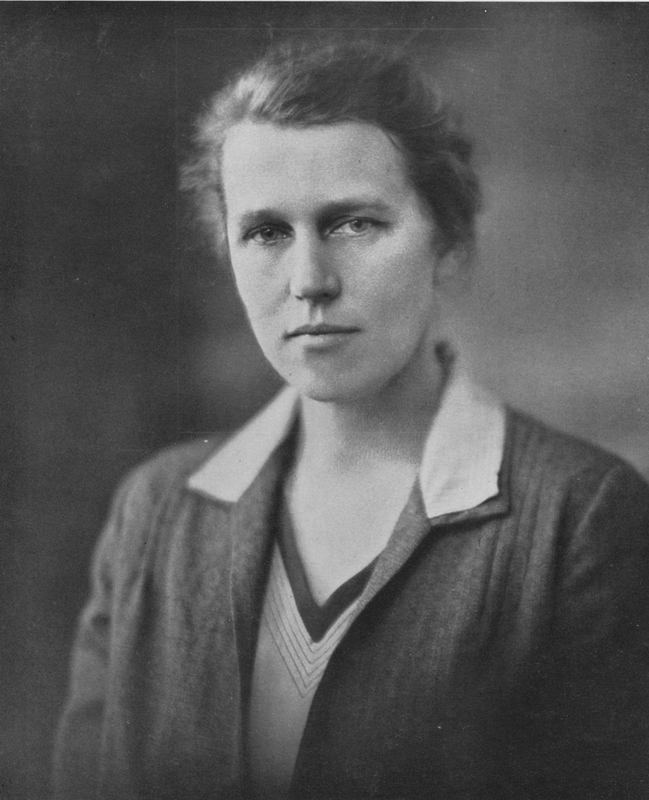 However, it is also easy to imagine that the examination was crafted to be challenging in order to prove her point that women were as capable academically as men, and that Bryn Mawr College would be the school to prove that women could be educated at a level on par or even better than that of the equivalent elite male schools. Could it have been selected at random, or was it perhaps a nod of acknowledgment between the examiner and the candidates, aligned by a common conviction? Would you have passed the Bryn Mawr examination as given in 1893? Would you have preferred to take the more focused University of Pennsylvania exam, or the Harvard Examination for Women? Do you think interdisciplinary study and late specialization is an important component of the college experience? Let us know in the comments section! 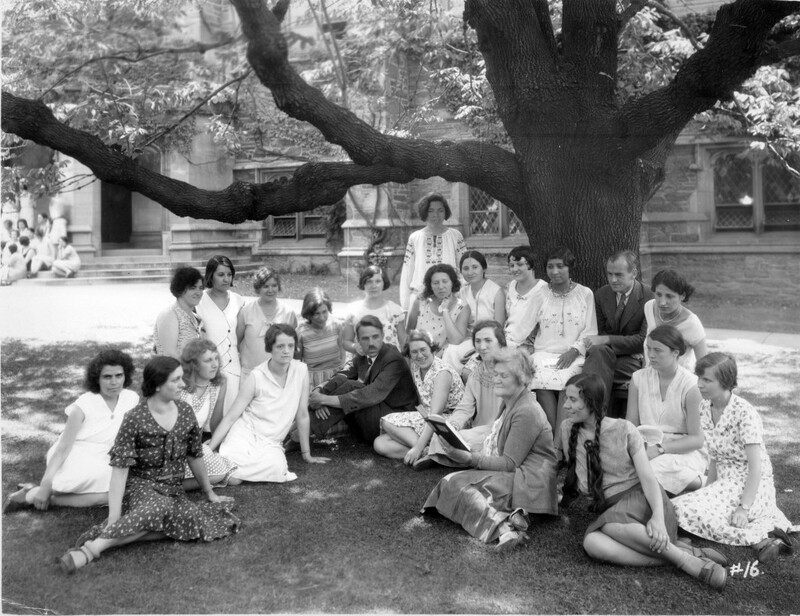 1 Furthermore, institutions like Bryn Mawr were offering access to graduate level education to women in the US, opening up the possibility of graduate study for American women without traveling to Europe for doctoral work as M. Carey Thomas had done. 3 We were unable to locate a Bryn Mawr College entrance examination from 1893, and will therefore be using an 1892 test for comparison. 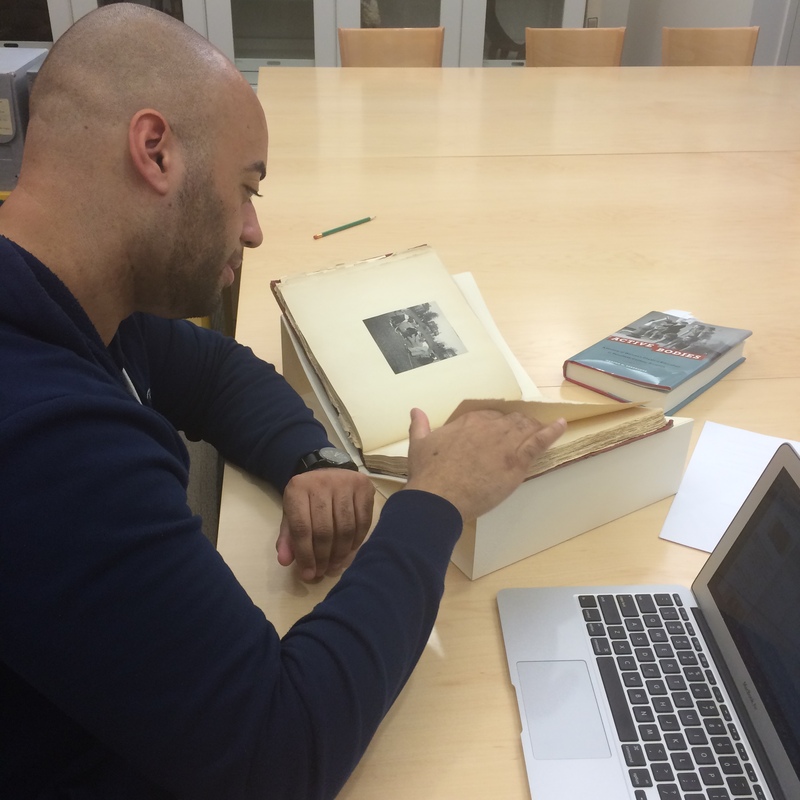 In this guest post by Lianna Reed ’14, you can learn more about the digitization of the oral history collection held by the Special Collections department of Bryn Mawr College. As part of its work, The Albert M. Greenfield Digital Center for the History of Women’s Education is converting the audio tapes into digital files which will eventually be hosted on the Tri-College digital repository site, Triptych. Previously, student worker Isabella Barnstein worked on the project and wrote about her experiences. We are further along with the work now and finding out more and more about alums from the past. Some of the material has been used in our Taking Her Place exhibition which can be linked to by scanning QR codes on certain labels. These include the 1935 radio broadcast by M. Carey Thomas and interviews with faculty, staff and students in the past (you can find them by clicking this link to our site). The exhibition runs until June 2nd and after this it will be made available as a digital exhibit on our site so make sure to visit the digital exhibitions section of the site …. Guest blogger and Special Collections student worker, Lianna Reed ’14. 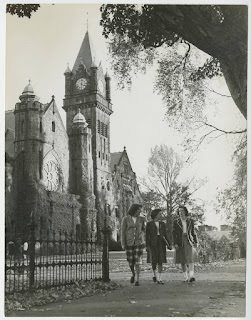 I have been working on the oral history project with The Albert M. Greenfield Digital Center for the History of Women’s Education for three months and not only have I learned how to digitize cassette tapes to mp3 files but I have also been absorbed into the lives of Bryn Mawr women from ten, twenty even eighty years ago. I’m not a history major or English major, in fact my academic work doesn’t usually relate to my work with Special Collections. I actually appreciate this difference because working here is a release from my academic life as a double major in Political Science and French. I get to come to work and listen to alumnae talk about their time as students in the 1940s, sneaking out of the dorms past curfew (10pm) and going to the cemetery down the road. I become immersed in the details of women who became renowned archaeologists, politicians, activists, tutors, and the list goes on and on. Oral histories are an interesting form of history because they involve someone else, usually the interviewer, prompting the interviewee to respond to certain questions. However with Bryn Mawr women, these questions are often disregarded as the women believe that they themselves aren’t interesting. I have heard so many women say “Oh, you don’t want to hear about that. It isn’t interesting.” Actually, most things are interesting, especially anecdotal commentary. 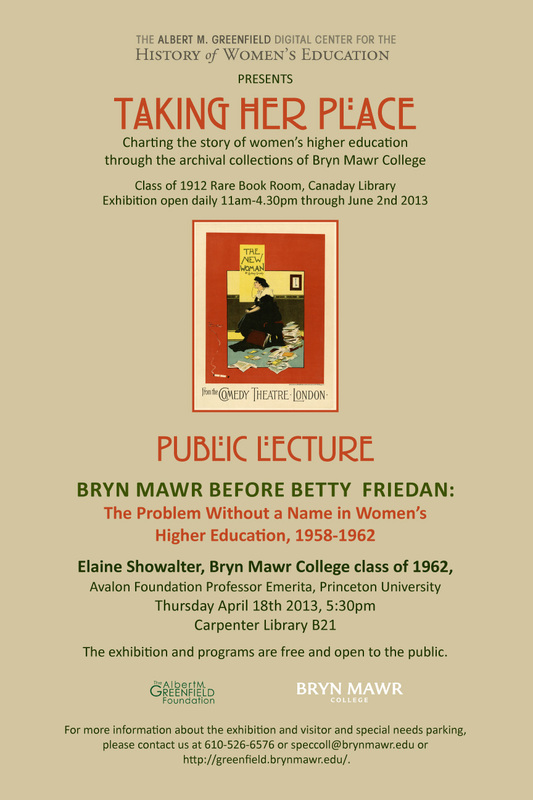 Even when the women describe how challenging Bryn Mawr was and their feelings about not using the degree, prompting them to feel unworthy of their degree, it is interesting and valuable for the history archives and also for those of us that are soon to be graduates. My first oral history was my most memorable. Fleta Blocker was a bell maid in Radnor who came to Bryn Mawr as a teenager on the recommendation of her sisters. Too young to work she was put on staff for a trial year before she was hired permanently. 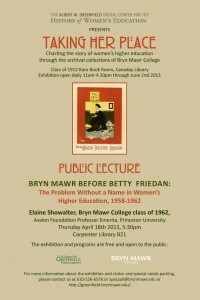 Fleta would end up working for forty years at Bryn Mawr College. Honored as one of the longest serving employees at Bryn Mawr, Fleta wasn’t just a bell maid, she was a friend and a student herself at Bryn Mawr. Fleta saw more change and development at Bryn Mawr than anyone else. But what does it means for Bryn Mawr’s Special Collections digital archives to have Fleta’s interview? Who will listen to her tell her story? Who will understand what it meant to her and, of course, the students, to have her there in the dorm? While Fleta’s interview is linked on the website of The Albert M. Greenfield Digital Center for the History of Women’s Education and featured in the Taking Her Place exhibition and we can track who listens and in what language, we can’t always know how they might understand Fleta’s time at Bryn Mawr in the college’s history. Maybe oral histories are like podcasts and while you can’t force anyone to listen to them, they are an integral piece of history that is accessible, not just for the Bryn Mawr community but for the community of women’s education around the world. Faculty are always celebrated for their accomplishments and their connections with publically accomplished students, but what about the other people who supported and encouraged students to become the people they are remembered to be? What does working on this project mean for me? As I said I am not a historian but I am interested in people’s stories. I am interested in doing research in sub-Saharan Africa on the effects of transitional and restorative justice. Oral histories are one of the most important forms of archival material that we have as humans. Oral tradition is the way we know and remember songs, family history, and recipes we love to cook. Oral history and oral tradition help to clarify the ways in which restorative justice has impacted the lives of many. For example, the gacaca courts in Rwanda are an oral tradition that are both a method of enacting justice and also a form of history as the plaintiffs, witnesses and criminals participate in an open dialogue. These histories are invaluable to the success and development of Rwanda in the present day. I hope that after having listened to hundreds of different interviews from people reluctant to talk and people more than enthusiastic at Bryn Mawr I will be prepared for whatever might come my way in the field. When I am out in the field I can gather information necessary to create a dialogue, not only amongst those I am interviewing but also with the wider international community producing a discourse that gathers many people’s individual stories, much like the archives at Special Collections at Bryn Mawr College.